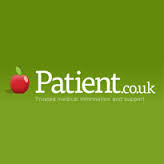 Patient.co.uk is one of the most trusted medical resources in the UK, supplying evidence based information on a wide range of medical and health topics to patients and health professionals. This site is where we get most of our Patient Information Leaflets that we give out to you in our consultations. It is also an excellent resource for links to medical charities and support groups for a whole range of conditions. Portishead Medical Group is a member of the West of England Clinical Research Network of practices (https://www.nihr.ac.uk/nihr-in-your-area/west-of-england/), recruiting patients to studies approved by the NIHR (National Institute for Health Research), the research arm of the NHS . We may write to you, or ask when you visit the surgery to take part in a study. All research goes through a rigorous appraisal and approval process before it gets anywhere near patients, so be assured that anything we ask you to take part in is safe. You’re not obliged to take part of course but only by supporting research will we improve the diagnosis, treatment of and outcomes of many of the problems we commonly see every day. Portishead Medical Group has also achieved the 'Research Ready' accreditation from the Royal College of GPs. CPRD is a government organisation that provides anonymised patient data for research to improve patient and public health. You cannot be identified from the information sent to CPRD. Information in patient records is important for medical research to develop new treatments and test the safety of medicines. If you do not want to anonymised information from your patient record to be used in research you can opt out by speaking to one of our managers. Study to determine the effect of aldosterone receptor antagonism (spironolactone) on mortality and cardiovascular outcomes (onset or progression of cardiovascular disease) in patients with stage 3b. Aim: To determine whether the detection of undiagnosed psoriatic arthritis (PsA) in people with psoriasis by an enhanced surveillance intervention compared to standard care improves physical function. Participants in the Enhanced Surveillance arm will be assessed in secondary care by a research rheumatologist (referred to as the assessing clinician throughout the protocol) at baseline, 12 months and 24 months. Investigating the use of citalopram, sertraline, fluoxetine and mirtazapine in preventing relapse in patients in primary care who are taking long term maintenance antidepressants but now feel well enough to consider stopping medication. Feeling down or depressed? Suffering from anxiety or panic attacks? Bereavement? Not certain who or what will help? Positive Step provide support and counselling for patients with straightforward mental health concerns. Varying levels of intervention are offered depending on individual need. You may self-refer (see website below) or be referred by your GP. When first referred you will be given help to access the website. You may be booked onto a course or a telephone appointment arranged for you. Wellness Advisors will then make an initial assessment and either facilitate courses and/or offer 1:1 brief therapy either by telephone or face to face. If more imput is required you will be referred on to a therapist employed by Avon and Wiltshire Mental Health Partnership (AWP). They are all trained to deliver cognitive behavioural therapy (CBT) and offer this either 1:1 or via therapy groups. Do you, or others, think you have a problem with elicit drugs? Need help? Addaction are a large national charity that have been commisioned to provide Drug Recovery Support to patients in North Somerset. They provide counselling, support, needle exchange and drug substitute prescribing (ie methadone) to minimise risk and harm; the ultimate goal being to become drug free. Please note - as a practice we do not provide drug substitute medication without a patient first engaging with Addaction or a similar agency. Is alcohol a problem for you or a member of your family? ARA has 25 years experience of providing specialist services for people with alcohol and/or drug issues. In North Somerset they provide alcohol support with services including advice and guidance, counselling and community and in-patient detox. Services are provided by a team of staff and volunteers operating from Weston-super-Mare with an outreach clinic at the Marina Health Centre (Portishead) on a Friday morning. ARA offers direct access at Weston on a Monday, Wednesday and Fridays 11.00am -1.00pm without the need for an appointment. Click here to view the Walking for Health website. You can get in touch with the local Portishead group via this website. A directory of arts, sport, social hobbies, support and community groups, promoting health and wellbeing in the local area. Click here to view the North Somerset Council Health and Social Care page. This contains links to many useful information sites. The Care Connect service is the first point of contact for all social care enquiries in North Somerset. It offers impartial advice on social care issues including care link, home care and residential and nursing homes. The service is available Monday to Friday from 8am to 6pm. They can guide you towards social care services and put you in touch with voluntary, statutory or private sector organisations for help. The Community Connect service is run by the Curo Group and covers the whole of North Somerset. It aims to support elderly people to stay connected, supported and active in their communities so that they can remain living independently at home for as long as they choose. Community Connect is able to help people by improving their awareness of services, support and advice and by helping them to access support. It is never too late to benefit from the medical and financial benefits of giving up smoking. In Portishead, the local pharmacies now provide Stop Smoking Services. They offer support and advice and, if needed, will liaise with us to provide medication. You do not need a referral to access the service. Our doctors and nurses can give you help and advice about any worries you have about your health including, sexual health and contraception, weight issues, skin problems, stress, alcohol, drugs smoking and lots more. If you have any non-medical concerns or have a question about how to use our services our General Manager Kath Payne will be very happy to talk to you in person or on the phone (please call us on 01275 841630). Or you can send a question to Kath using the 'contact us' feature on this website. We know it can be a bit scary talking to a doctor or nurse about your worries so here are some top tips to help you. If you feel nervous bring a trusted friend or relative with you. If you are worried you will forget to mention something write a list and bring it with you. Don’t be afraid to ask the doctor/Nurse to explain things if you don't understand. If you need to be seen that day for emergency contraception (morning after pill) please let the receptionist know and she will book you in (you don't need to be registered with us to use this service). We provide the following sexual health services. You can request if you want to see a female or male member of staff and the receptionist will do their best to help you. Don’t forget you can come with a friend. We realise that being a Young person brings its own particular stresses and worries so ask for help when you need it, don't struggle on your own. Come and see a Dr or nurse and they will listen and support you. If you want help to give up smoking please make an appointment to see our advanced nurse practitioner. She can help you by offering help, support and nicotine replacement therapy. You have a right to confidentiality (privacy), even if you're under 16. Your doctor or nurse can't share information about your health without your permission. They will encourage you to talk to your parents or carers but they should not tell your parents or carers anything without your agreement. You have a right to privacy whatever you ask about. This could include sexual health, pregnancy, drugs, alcohol, eating disorders, depression or any other health problem you're worried about. BUT if we have serious concerns about your safety we would have to talk to another adult but we would try and let you know first. If you give your consent to something, it means you give your permission, you agree. If you are 16 years or over, you have the right to make your own decisions about your health. If you're under 16, you can give your own consent for medical treatment (e.g. contraception like the pill) if the doctor or nurse thinks you are ready to make your own decisions about your health. They will chat to you about how you're feeling and what you want. If they don't think you're quite ready to make decisions about your health, they will ask you to bring a parent or carer to your next appointment. We'd really like to know what you think about our surgery - What is good? What could we do better? You have the right to give feedback (good or bad!) about any health services that you have received. We will take it seriously. The information you share with us is confidential and will not affect your care. Please use the 'contact us' feature on this website to let us know what you think.